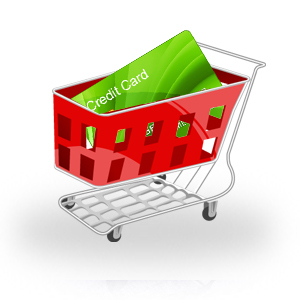 Ecommerce Solutions | Ecommerce Website Design | Batish Technologies Pvt. Ltd. Ecommerce Solutions – Batish Technologies Pvt. Ltd.
E-commerce Solutions are web applications allowing you to sell products or services online and get paid from them instantly. Such a solution can take your business to new markets and customers 24 hours a day 7 days a week. They can be a sales and marketing channel that never sleeps. E-commerce is all about harnessing the world wide web to extend your business. It may be getting to more consumers using a Business to Consumer (B2C) strategy or transacting seamlessly with your business partners using a business to business (B2B) strategy. A well planned solution not only provides a way to sell your products but also is a great customer service tool. We can easily integrate a custom solution into existing applications and automate the process of sale, receiving payment, creating orders and shipping the product. It is an integral part of your sales strategy. Being one of the cheapest mediums for reaching out to new markets, it also offers a best mode of doing business and expanding it further. Moreover, this technology has enabled people to buy goods and have virtual exposure of various services with a click of mouse button. We at Batish Technologies, provide complete Ecommerce solutions like Ecommerce Web Development, Ecommerce Web Design, Payment Gateway Integration, and SSL Implementation. Our teams have extensive experience in designing and developing E-commerce solutions with simple features like a shopping cart and payment gateway integration to extensive systems which allow integration with a warehouse system for packaging and shipping, accounting system for invoices and payments, third party postal systems to calculate shipping costs. Contact us for how we can help your business develops an online sales strategy and an effective solution to drive it.